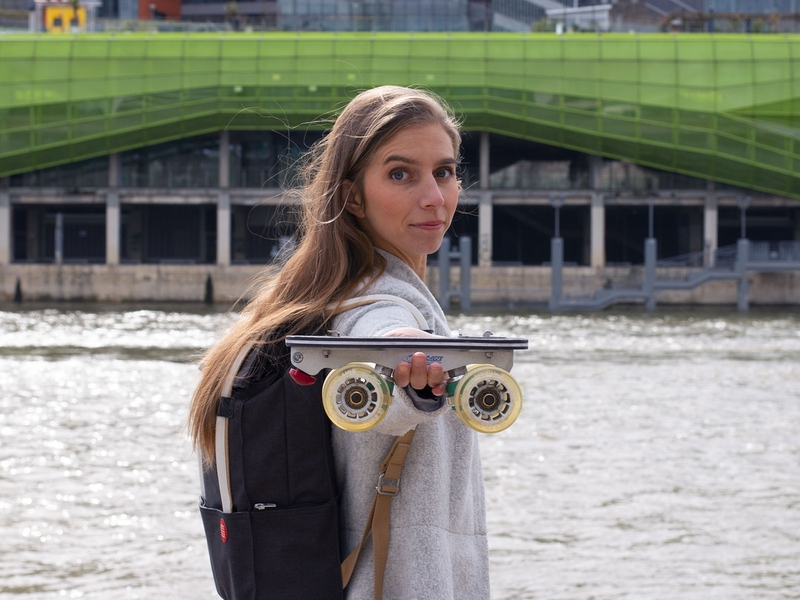 Spring is coming, and the weather conditions are perfect to practice roller skating.Amandine Etelage, our new ambassador, answered our questions. /Let’s talk about you, what kind of roller skating do you do and how this passion started? I grew up at Réunion island and I moved into mainland France for my studies. Today, I am a choreographer. About roller skating, I am a roller dancer specialist. I promote this discipline in France, through the Miss'ile association, which of I am vice-president. I started my career at 22 years old by buying inline skates to go to my ballet classes. For the story, it was Miss'ile president, training in the same course as me, who introduced me to roller dance. A few days later, I bought my first roller skates: white boots from Hawaii Surf. Three weeks later, I was performing on Trocadero square during PSWC (2010). In addition to roller skating, I also tested various disciplines such as slalom, downhill or skate cross. I also took part in speed skating competitions such as “Les 24 heures du Mans” (endurance race event held on roller skate and organized every year on the Bugatti circuit of Le Mans - France) in 2010. It's a wonderful story with skating! /How do you live with roller skating? I am lucky enough to make a living out of my passion, dancing and roller skating through two main activities: teaching and artistic creation. Since 2010, I have been giving roller dance classes for the Miss'ile , then I got my federal skate teacher degree and my professional qualification certificate. I also perform with SkateXpress. Sometimes I work for movies, television shows or videos clips. My last projects were the Ofenback video clip ("Paradise") and Tommy Hilfiger Paris Fashion Week show. Roller skating has become an essential part of my life. /How did you discovered Flaneurz? What means being an ambassador for you? I discovered Flaneurz through Florian from the Kickstarter campaign. I was also following first ambassadors on social networks: Jean Marc, Poupa and Laurence. I have been instantly seduced. I immediately understood the product interest to skate: no more wasting time by putting and taking off skates at the beginning and the end of training. I save time and travel lighter during my journeys. I always wanted to be an ambassador. I am happy to be part of the team. I felt accepted in the Clique, and acknowledged in the roller skate world. I am happy to be part of this beautiful family! /How do you use your Flaneurz? I use my Flaneurz during my roller dance classes and during my training sessions. This is the first time I have high quality equipment, and I feel the difference. I made progress by gaining in accuracy, amplitude and movement speed. With Flaneurz skates, my progressions perspectives are greater. I do figures that were complicated with classic boots. I have more dexterity for roller skating! Since I clip out my shoes in 3 seconds, I feel like a "super hero" and I will soon do Change Your Shoes. 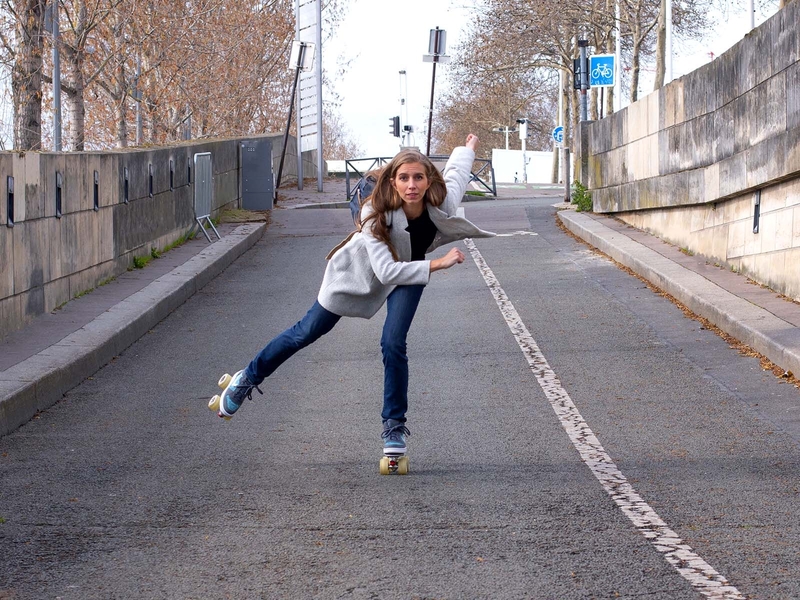 Such as Amandine, put on your Flaneurz for lovely days and discover roller skating pleasures! Live this new season with our community and follow our next events!